We commit to recycling, repurposing, and refurbishing of computers, electronic equipment, and common recyclable material. T.D.R. LLC has made that commitment since 1995 by servicing communities, public and government agencies to reduce E-Waste. 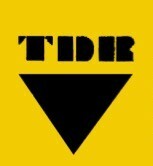 T.D.R. LLC Recyclers certifies that all material is destroyed or displaced in an environmentally correct manner that is in accordance, with all local, state, and federal regulations. We also provide clients a certificate of recycled material per request. Our recycling efforts include scheduled recycling events, buying recyclable material, and free recycling pick ups. We focus on the convenience of easy and quick disposal of your E-Waste. Most drop off recyclable donations can be recycled at the center 24 hours, 7 days a week, 365 days a year.